Discussion in 'Pokémon Manga Discussion' started by shoz999, Nov 7, 2018. For those who may have notice, a lot of story arcs typically have an endgame storyline titled along the lines of the "Last Battle" in parts, a titling trend started by the GSC arc. For example in the GSC arc, it's "The Last Battle". In Ruby and Sapphire it's "It All Ends Now." In the Emerald Arc, it's "The Final Battle." Of course not all of them have titles along the lines of "Final Battle" but nevertheless, a lot of these story arcs end in an emotionally intense endgame chapter. Answers are revealed, the stakes are extremely high, characters take unexpected paths, protagonists faith in each other are put to the test, those who understand the games the most will be the most shocked, iconic scenes are made that seem perfect for colorization among the fanbase, sometimes characters confess truths or for a few cases, their feelings. No one, not the reader or the fictional characters themselves, truly knows how things will turn out in the end. A lot of things happen so quickly during these endgame storylines, that it can take anyone by surprise. Currently the Sun and Moon Story Arc appears to be nearing it's own "Last Battle" story-line. Fans are excited for what Kusaka has in store, what answers will be revealed, what theories could be confirmed or not confirmed, how Kusaka will handle the conclusion to Lusamine who is drifting in her own madness, if Guzma will ever be found and of course the mysterious presence of Necrozma and Zygarde. The stakes are high but at the same time, these "Last Battle" Arcs are also the end of an adventure. This also means, that the end of the adventures of Sun and Moon traveling across the Alola region, at least for a few years. In the anime when a season ends, it's quite heartbreaking to see Ash part ways with his friends and head back home but we always know Ash will return with a happy smile on his face, ready for another adventure. 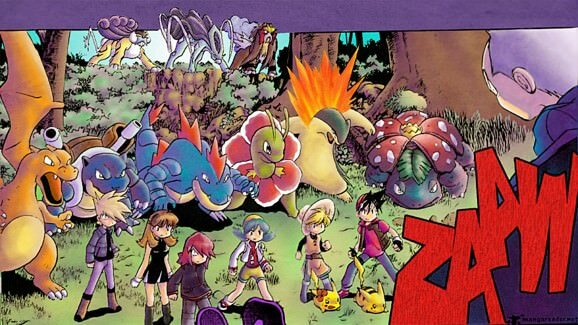 In Pokemon Adventures, the endings are a light at the end of the dark tunnel, a sweet heartwarming farewell letter to the readers who enjoyed reading the adventures of that particular generation. It's not only a sweet end but a heartbreaking farewell full of great memories as we may never see these characters stories again for a long while. That being said, how do you feel when a Pokemon Story Arc reaches it's "Last Battle" story-line and nears it's end? Are you pumped and excited to see your favorite characters having gone through so much, fighting against all odds but at the same time does a part of you feel a bit happy or saddened seeing your favorite characters run smiling towards the warm sunlight one last time, how good things must come to an end? Is this the case that you might feel for the upcoming endgame story-line of the Sun and Moon arc? What are your thoughts? 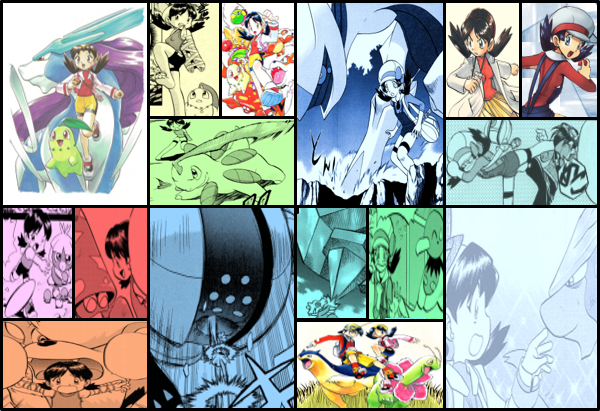 I've never followed pokespe as it's going on (BW2 aside, but by this point I've accepted that none of us will live long enough to see it end), as I started reading on 2014 (rgby/yellow/beginning of gsc), took a huge break until late 2015 (gsc-bw2), and this year I read all of XY, ORAS, and the first 5-ish chapters of SM, nd I was spoiled many plot points, including pivotal ones, so I was more "hmm, how will ______ happen?" than "what will happen?" For me personally though, I think the aftermath after the final battle is in many case written far better than the final battle themself. Another’s, is XY arc, where after defeating Team Flare, the group realizes the cruelty and evil of society. At the very end, Lavarreshipping is somewhat shown. Where, this shipping is interesting as X is the one flustered after Y, where in many anime’s/manga the female visibly shows more signs of crush than the male. I think that’s is supposed to be the whole purpose of Pokespe, where you are to see in what’s sort of twist will Kusaka show the characters from the games. For example, we all knew in ORAS Ruby and Sapphire would battle Zinnia over lorekeeper and they would do so by riding Rayqueza in spacesuit, but we may also are intrigued how Zinnia would interact with the 2 protagonists. Just something to tell you. Careful not to bring up threads over the 60 day mark. Threads over 60 days can't be brought back. Even extremely popular threads are susceptible to this rule. The only threads that I know that are free of this rule are the Review & Thoughts section. Other than that. I CAN'T WAIT FOR THE ALOLAN DRAGONBOWL! It's a theoretical battle between Complete Zygarde and Ultra Necrozma. I got the name for the theory after Cleganebowl from Game of Thrones lol. I know, totally. Also, seeing there are all sorts of rule such as no double-posting on one discussion or 60 day expiration, can you list to me all sorts of rules required to be followed on manga discussions?